I've seen various estimates that as many as 75% of new real estate agents fail in their first year. Some quit completely, and others may try part-time for a while. However, with E&O insurance, license renewal fees, and continuing education costs, part-time is a difficult road to take. They don't have a strong drive for success, though it would be easier. They didn't get enough advice from people in the know about how their first year would go. Little knowledge of effective marketing, especially on a budget. Not enough money to start with. No idea of income as related to marketing and prospect flow. No working budget for expenses and marketing. It's that last couple that we want to look at in this article. The average new agent passes their test and gets their license. They've already chosen a broker, and they're excited to get started. The reality of this business is that a broker has little or no money invested in taking on a new agent. Usually, they provide them a desk with a phone on it. And, that desk may have belonged to an agent who lasted only a few months. 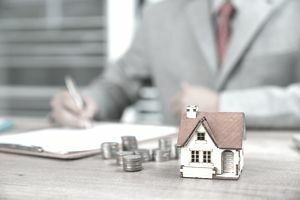 The broker may put the agent into some already-contracted marketing, such as brokerage newspaper and magazine ads or on the brokerage website. However good this may look to the newbie, it's rarely going to result in a commission any time soon. The best bet is floor duty. But, if floor duty is effective, and that depends on location and traffic flow, then there will be competition for it. As a self-employed independent contractor, you first need to know your personal expenses to maintain your lifestyle. By spreadsheeting these expenses and even seasonalizing them if necessary, you will be able to determine better what you need to do in your business to generate the necessary income. Here are information and a spreadsheet for personal expense calculations. Once we know what we need for income personally, then a budget for our real estate business can be calculated. It takes into account expenditures for marketing and the expected results from it, as well as a seasonal breakdown. Here we need to be realistic with our expectations for income that will be generated by our various marketing activities. One approach is the sales funnel, so named because we're estimating income out the bottom of a funnel for prospects coming in by type of marketing. For those who would like a more structured and supervised approach, you could check out the CreateAPlan® Agent Business Planning System or the corresponding system for brokers.